Sign up and receive Property Email Alerts of Houses for sale in Plettenberg Bay Central, Plettenberg Bay. 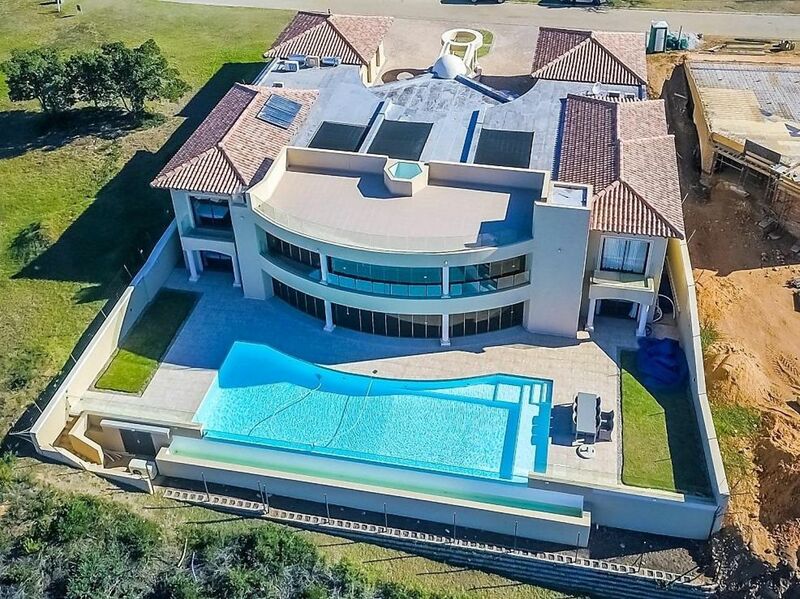 With a 180 degree, all-encompassing view over the beautiful Plettenberg Bay beach, the breakers and out to the horizon, this spectacular designer home has much to offer. The design of the house ensures open concept living spaces fill with natural light streaming through this home from the skylights and seamless glass stacking doors. This is truly a designer home for the discerning buyer. Sign-up and receive Property Email Alerts of Houses for sale in Plettenberg Bay Central, Plettenberg Bay.